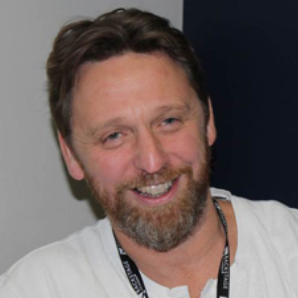 Matt Howarth has been working in the TV industry for the last twenty five years, supplying high end animations, graphics and special effects to broadcasters and productions companies worldwide. Matt received a BAFTA nomination for his FX work on the multi-award winning ITV comedy drama, ‘Cold Feet’. He founded Puppetman Productions and continued to service the broadcast industry he’s just delivered a series of films for BBC Learning. One of his projects ‘Gross!’ won a Royal TV Society Award with Libra TV for The Discovery Channel.